Your Wednesdays are better with a dose of hump-day hilarity! Nader Mansour offers a fresh comedy perspective with his original take on the middle east and growing up as a Christian Arab. He has performed across North America at comedy clubs and festivals such as: Hollywood Improv, Yuk Yuks, Hollywood Laugh Factory, Flappers Comedy Club Burbank, Border City Comedy Festival, Louisville’s Laughing Derby Comedy Festival, Comcast’s “Trial By Laughter” Indianapolis, and New York City’s “Devils Cup Festival”. He has appeared on SiriusXM’s Top Comic, and made his national TV debut on the iChannel’s “No Kidding” and “Inside Joke”, as well as an appearance on CBC’s “Newshounds with Adam Growe”. Drew Behm is a comedian who grew up in Edmonton, Alberta, Canada and now makes his home in Toronto, ON. As a writer, Drew’s satire is regularly featured on the CBC’s Comedy website and The Hard Times Magazine. 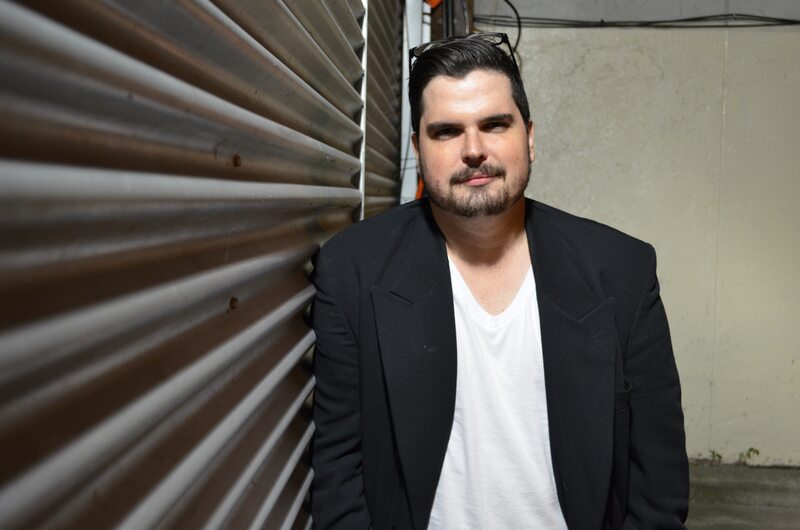 As a standup, Drew has made appearances at the JFL42 Festival in Toronto, the Hubcap Comedy Festival, the Border City Comedy Festival, and was a semifinalist in the Seattle International Comedy Competition. Drew’s comedy can also be heard regularly on Sirius XM satellite radio. 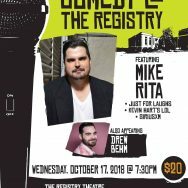 Comedian Mike Rita is exactly what you think a comic should be: funny, smart, & relate-able. 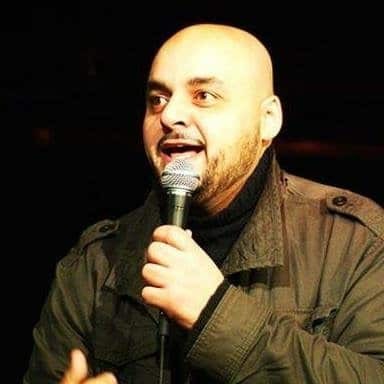 At 20 years old he was the winner of the Second City’s ‘Tim Sims Award’ for best new comic and later on that year signed with Mark Breslins comedy clubs ‘Yuk Yuks’ , becoming one of the youngest touring comics ever to work for the brand. Since then he has toured across Canada and the United States building a fan base on his unique style of political and pot comedy. Mike is well known for his weekly show Stoner Sundays at the Vapour Central in Toronto which has been featured on Pot.tv. 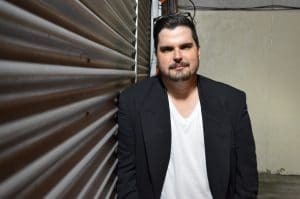 His unique style has allowed him to work with some of the leaders in modern comedy, with names like Joe Rogan, Bobby Lee, Tommy Chong, and Tom Green all under his belt. 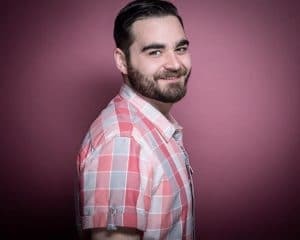 He’s also performed at festivals and on TV/Radio across the country with appearances on MTV, NXNE, The Just For Laughs Festival in Montreal, JFL 42 in Toronoto, SiriusXM, The Being Frank Show, Kevin’s Comedy Basement & Late Night with Matty D.
NEW: Buy a series pass – all six performances for only $90!